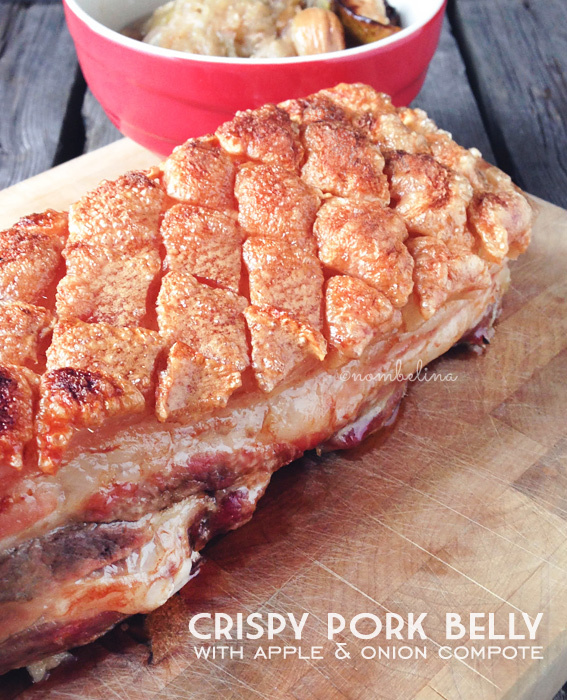 I first came across this version of pork belly through Jules Food’s Instagram account. It looked so crispy and delicious I just had to try the recipe. The method for this pork belly is much easier than my regular recipe and doesn’t need preparation a day ahead. You can season the pork belly any way you want, but make sure just to add the flavors to the bottom of the meat. Preheat the oven at 140°C/280°F. Clean the onions and cut into 1cm slices. 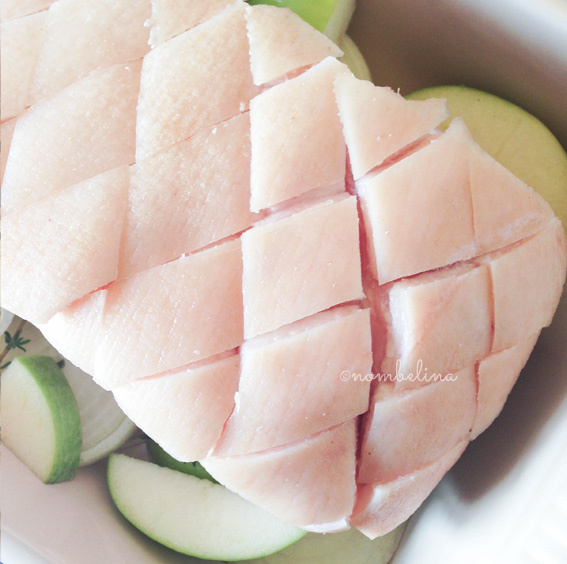 The same with the apples, but leave the skin on. 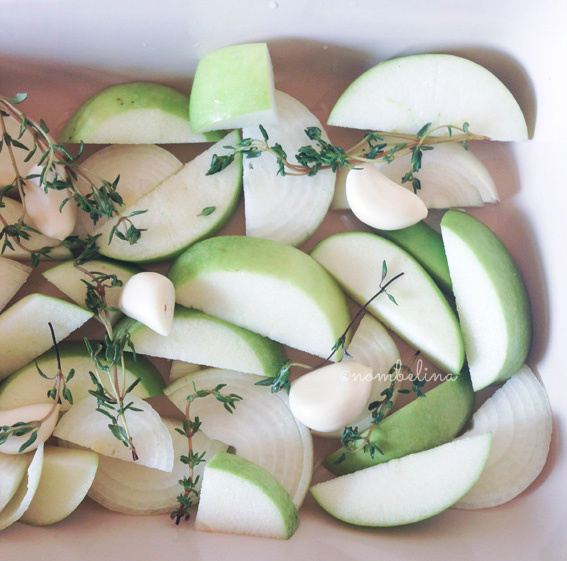 Spread the onion, apple and whole garlic cloves in a baking dish with the fresh thyme on top. Cut the skin into criss cross pattern. Salt in between the cuts and remove any excess salt from the skin. Season the bottom of the meat with salt, pepper and any preferred spices. I only used salt and pepper this time. 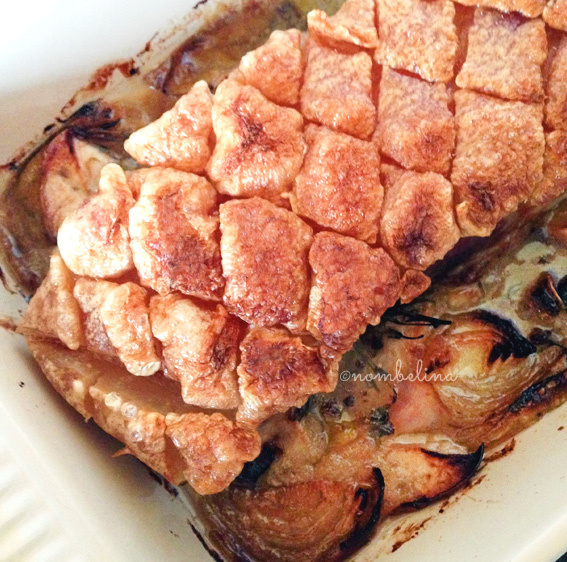 Place the pork belly on top of the onions and apples and cook in the center of the oven for about 3½ hours. Use a fork to check if the meat has become tender. If not, cook for a little longer until tender. Remove the pork from the oven and let it rest for 30 minutes. After 15 minutes, preheat the oven to 250°C/480°F using only the top element. You can transfer the pork belly to another dish at this point to prevent the onions and apples from burning. 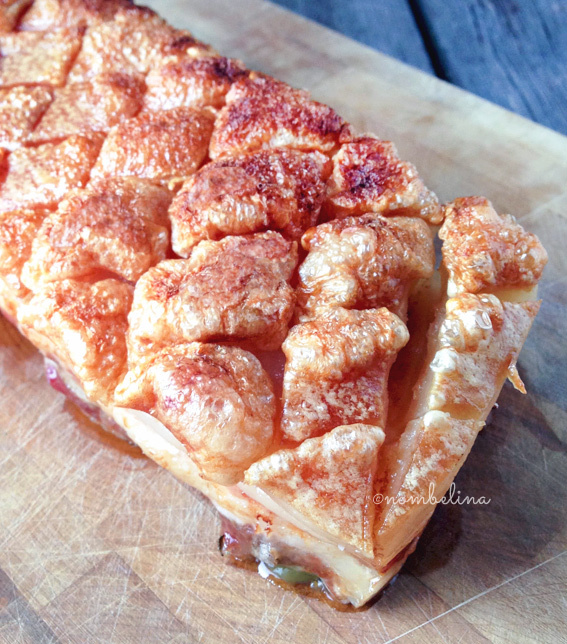 Place the pork belly in the center of the oven and stay put! It only takes a moment before the skin starts to puff up like popcorn. Remove the pork from the oven and let it rest for another 20 minutes. Remove the rendered fat from the baking dish and transfer the onions, apple and garlic to a bowl. Serve with the pork belly. The end result is amazing. Crispy light skin and moist pork underneath. I feared I wouldn’t get the same result as Jules, but it worked perfectly! I’ll definitely be making this again and will also try my Chinese marinade on the bottom. 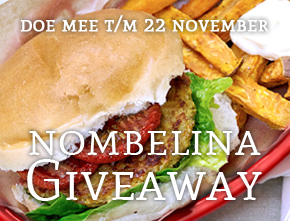 Follow me on Twitter or on the Nombelina page on Google+ for the latest news. Everything posted on this website is the property of Nombelina unless stated otherwise. Nothing may be used or copied without our consent.